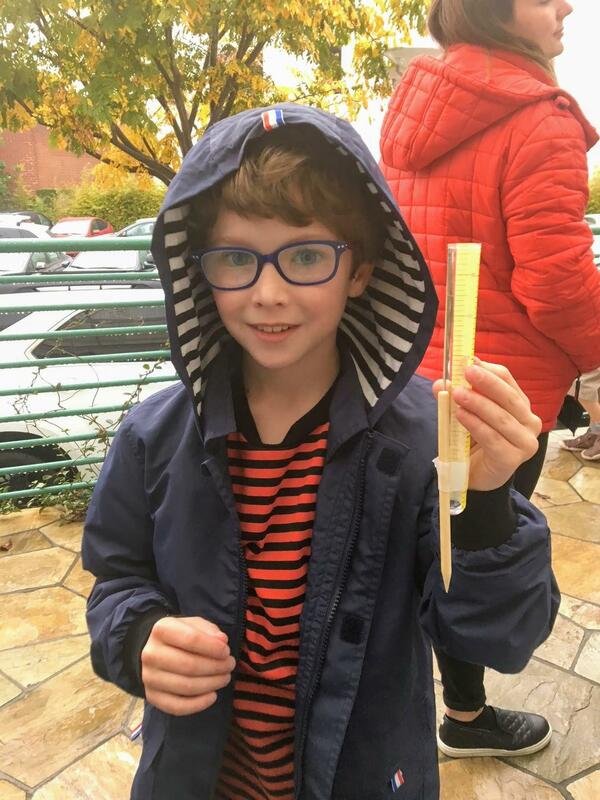 The science program at Park Century School is a comprehensive program for all students that covers a variety of interesting topics including life science, chemistry, physical science, and earth and space science. In addition to exploring the fascinating body of human scientific knowledge, students are also given the opportunity to learn like a scientist by testing hypotheses, gathering evidence, collecting data and drawing conclusions. Classes rotate through a variety of topics each year, ensuring that students gain a firm grasp of science by 8th grade. Each Park Century student is prepared for a high school science program, armed with a real love of the scientific process and an understanding of the discipline needed for proper lab procedures. Our science lab represents our commitment to leading edge education and technology. An evolving and flexible learning environment, it includes a Smart Wall, combining digital interactivity and a beautiful, crisp display, as well as an oversized dry erase surface for big ideas and collaboration. The lab also acts as a makerspace, where hands-on learning with real materials builds problem-solving skills and a kinesthetic experience that compliments the latest technology resources and virtual demonstrations.